Malaysiakini : COMMENT | Academic types have offered a plethora of reforms, but I’m a simple man. COMMENT | Let us test this era of glasnost some claim we are living in. This is a very specific question I am posing. Considering the credentials of our newly minted education minister, I am asking if the education system in our country needs a specific religion not any religion but a specific religion which I have argued has been weaponised in this country and elsewhere. This is not a provocative question considering how the Pakatan Harapan opposition and now government has contextualised Islam in their narrative. Remember DAP leader Lim Kit Siang has said that DAP supports the Islamisation process if done constitutionally. 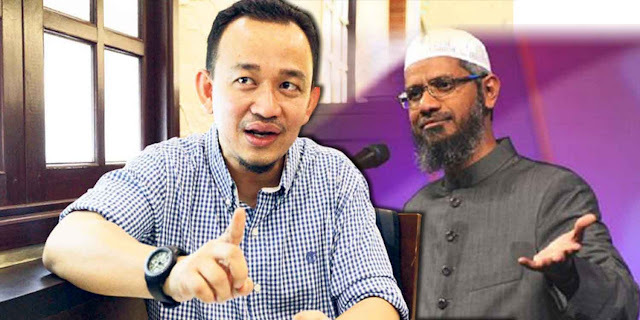 The "true Muslim meme" as propagated by the Harapan faithful was merely a reaction to the state-sponsored Islam of Umno and the regressive Islam of PAS.